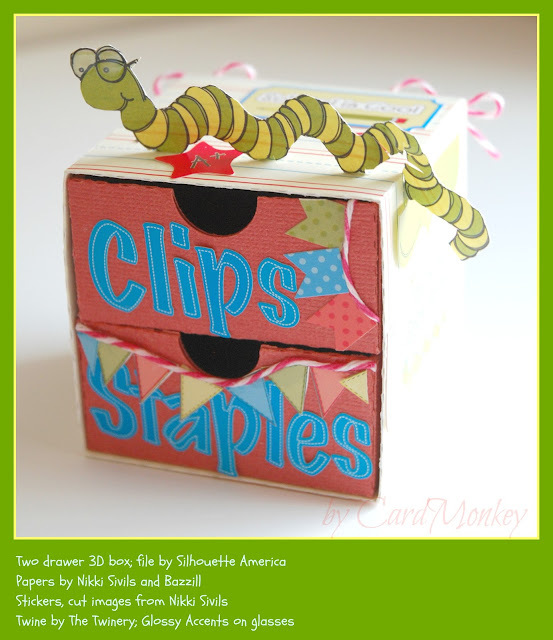 I'm pleased to be participating in this weekend's "School is Cool" Blog Hop by the Krazy Crafting Crew (KCC), a monthly blog hopping group of crazy papercrafting enthusiasts. If you arrived from so-and-so's blog, you are in the right place. If you're just stumbling onto the hop now, be sure to start at the beginning so you don't miss any of the great projects. 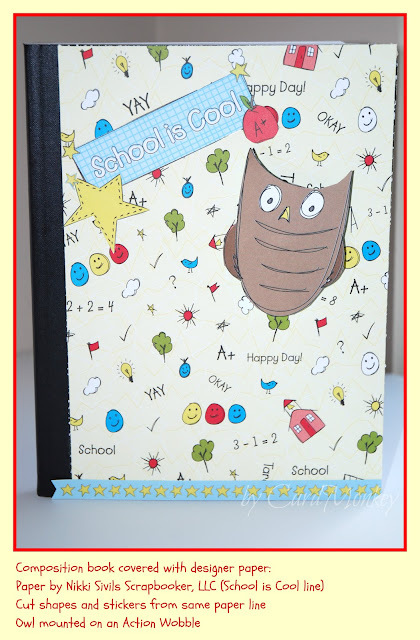 We are so excited to have Scrapbook Stamp Society sponsoring this hop! Make sure you follow all instructions so you do not miss your chance at any blog candy offered. To complete your entry for the Scrapbook Stamp Society you have to comment on all the blogs; to gain extra entries, each blog you "follow" will give you an extra entry. AND I HAVE MY OWN SURPRISE BLOG CANDY! It's coming from my stash of really neat stuff. To win it, be a CardMonkey follower and leave a comment for me here. In the comment, tell me What was your favorite grade or subject in school, and why? Also, please leave me a way to contact you when you win!! Thank you for hopping with us today, please come back tomorrow for more school is “cool” fun! such an adorable set for the first day of school for a little one! So totally cute! What a cute set! Wish my kids were little again so I could make this! Thanks for sharing. WOW those are such cuuuuute projects! Just love them. I'm really glad that through this hop I discovered you! I'm now a follower. I so love your projects! I am going to borrow your awesome ideas and make these projects for my sons' teachers. Maybe for myself, too, if I can get a teaching job!!! Love love love your work! Always fun visiting your site! My favorite grade in school was Kindergarten. That was back in the day when we had nap time, milk and crackers, and got to eat glue. Doesn't get better than that!!! Thank you for an awesome blog hop! I love your projects - they are really useful and cute!! What amazing projects you have made. My favourite subject was spelling - no spellcheck way back then!! Holy Cow, such great back to School projects! Love them all. TFS and for the chance at the blog candy. I love your projects. They are wonderful ideas. TFS. My favorite grade was first grade. We didn't have kindergarten back then so it was my first time to go to school. I love your back to school projects! I loved my senior year of high school-lots of friends and fun! Wow tons of cool projects! Love them all. You put tons of thought and work into this theme. I always loved English in grammar school. wow Ellen! what a cute set. I'm extremely fond of owls so it was especially cute! you were super creative with your electronic doo-dad! 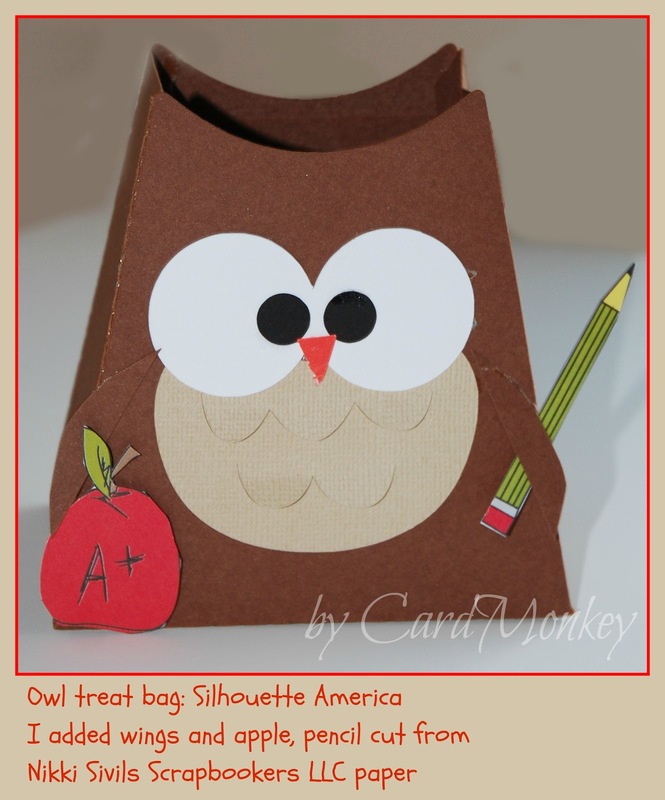 Super cute projects...I especially love the owl gift bag! I'm already a follower of your fun blog, and my favorite subject in school was art. I loved the creative outlet and the chance to do something fun! i almost wish i was back in kindergarten, your projects are so adorable. Thankyou for sharing, and for being a part ohis blog hop. What a cute back to school set. Some lucky child will enjoy that. I signed up to be a follower. Oh my goodness you have so many DARLING things going on over here Ellen. What totally FUN things to look at! I'm so bad about getting around to visit blogs as much as I'd like :( I will be sure to came back soon and stroll round and enjoy all your creations! Hi Ellen!! Thanks for following my blog. I'm now following you, too! I am in love with this project. My son's elementary school mascot is the owl! 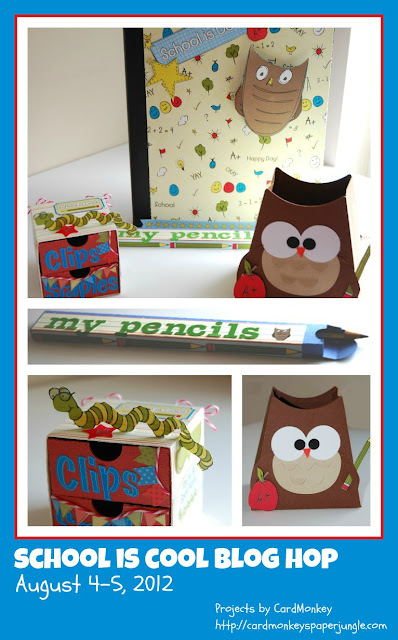 !Love the treat box and the pencil box. This is adorable! !